Irwin Speedhammer Power Drill Bits have been designed to drill through rebar reinforced concrete - the use of which is increasing. Rebar hits are a common problem during construction work. The Speedhammer Power drill bits are made from premium steel, which ensures a long lifetime and more durability. 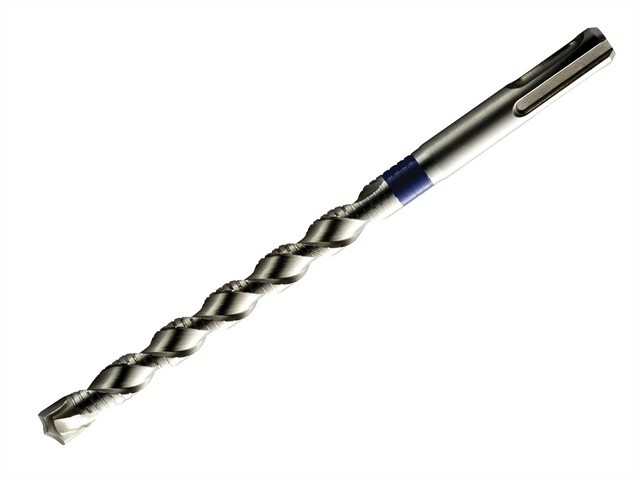 Tips have twice the amount of carbide in the tip, meaning the drill bits have twice the lifetime when hitting rebar reinforced concrete compared to the Irwin Speedhammer Plus drill bits. The flute is maximised for better dust removal and ensures an extended lifetime as the tungsten carbide tip is kept cooler whilst drilling.